Every April visual art students work together to display their work in the art building ( 325 ) under the exhibition title Progressions. 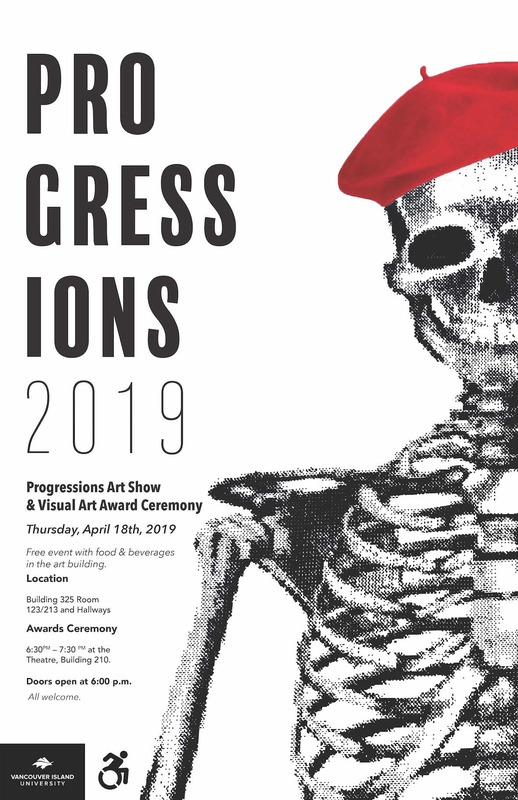 This exhibition is juried by visual art faculty and the opening coincides with the visual art awards ceremony where faculty and Art and Humanities's Dean hand out a variety of student awards. The exhibition displays a wide range of work including sculpture, photography, ceramics, drawing, painting, and printmaking. Come celebrate the extraordinary art work of visual art students and visit the studios they have turned into gallery spaces.